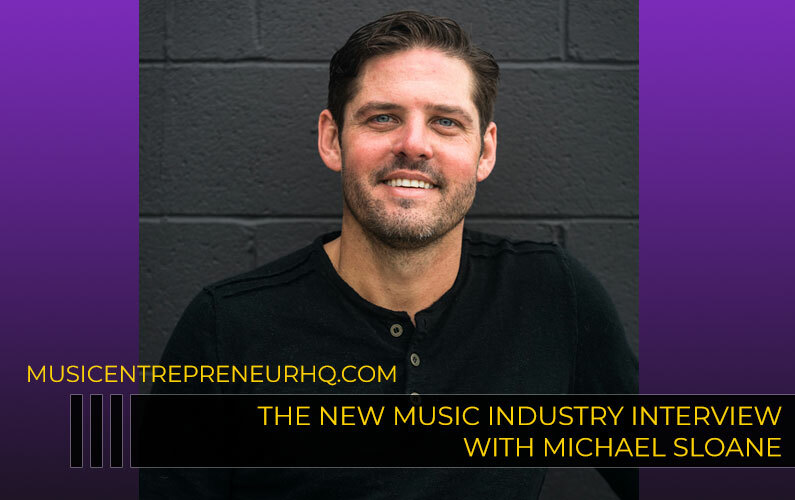 What is one of the biggest challenges facing musicians today? How can this problem be solved? 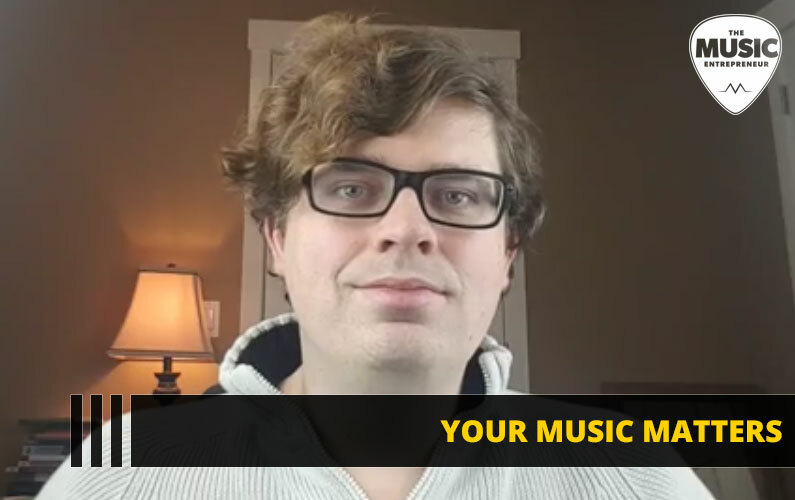 In this episode of The New Music Industry Podcast, I introduce a new community project I’m working on called Your Music Matters. You will also discover how you can help make this a reality. 03:19 – Why start another project? 06:30 – What is Your Music Matters? Today I wanted to share with you the audio from a recent Facebook Live I did. 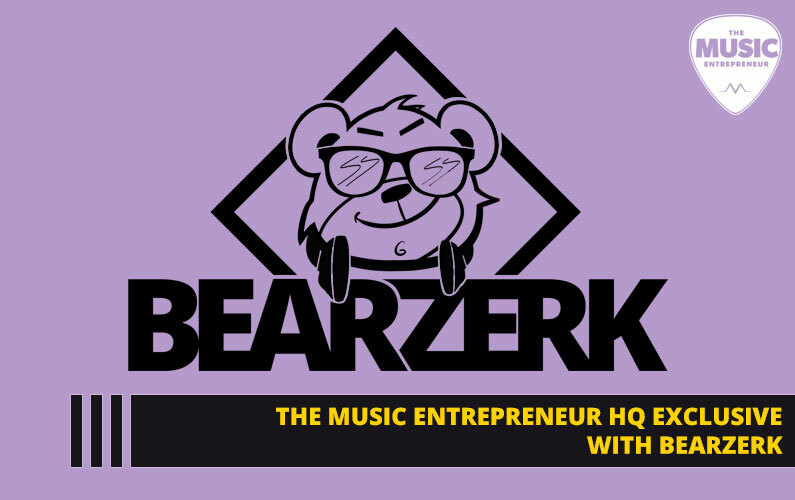 This Facebook Live wasn’t for The Music Entrepreneur HQ, but rather for a separate not for profit community project I started called Your Music Matters. You might have a lot of questions as to why I started this project, what my intentions are and what it’s all about, but that’s something I speak to in the audio you’re about hear. Hello everybody! It’s David Andrew Wiebe here. Hopefully you can hear me. Some of you know me. Some of you don’t. But either way, hello! It’s nice to be with you today. I’m not going to be waiting too long for anybody to come on this Live. I’m just going to go right ahead and get into today’s subject matter because you should always be able to go back and watch this video later if it’s a topic that’s of interest to you. This is my room. It’s nothing special. This is just where most of the work gets done. I’m in the music and creative industries. A lot of my work is just writing, and podcasting, and recording audio and things like that. I can do all of that just from this room right here. And I do. So, there’s nothing really to show here in terms of like a really cool background or anything like that but I still thought this was an important message that needed to be shared, and so here I am today to talk about Your Music Matters. Now, you can always leave comments below. I’m happy to answer them. Even if I don’t get around to them while this video is still going, I can always turn them into blog posts later and answer the questions on the blog. And, by the way, there is a very basic blog at YourMusicMattersToo.blogspot.com. So, that’s YourMusicMattersToo.blogspot.com. Now, I could have put a lot of more time, and energy, and effort, into the website and the blog but really this project… I think the message is what matters. It’s not necessarily about putting on a really big front or looking a certain way or appearing in a certain way. It’s not really about branding. It’s just about a community coming together around a cause that matters to them. So far, I’ve talked to a few people who’ve expressed interest in being a part of this. So, I’m not doing this all alone either, and I’m not planning to do this all alone. In fact, maybe I’ll be the face of it in the sense that here I am doing a Facebook Live but there’s a lot of people that I want to enlist in this project to develop it and to make it what it’s going to become. Now, if you see me looking over there, it’s just because my notes are right there. I figured I would spend some time talking about this because anybody who knows me knows that I’ve already got lots of projects. I don’t really need another project. I’m making a good living doing what I do. There’s really no reason. The reason that I decided to start this project is because I’m passionate about music. I’m passionate specifically about independent artists and musicians who are struggling to make it. Many of them are unable to make a living at their passion. That just shouldn’t be the case because the resources are unlimited. The internet is at your fingertips. 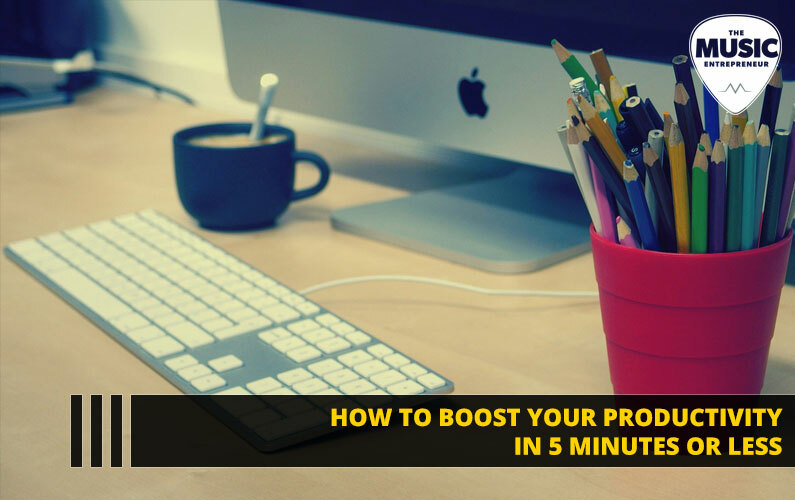 You have the best marketing tools just sitting right there. And, because many of you don’t know how to utilize them or even have kind of the right mindset around how to make it work for you, you’re unable to do what you love to do. I think that’s unfortunate. Me personally, I’ve had so many projects, so many ideas that I wanted to do. And the thing that held me back in the past oftentimes was just a lack of financial support or resources. So, if you were able to make a living doing what you love to do, you can make many of those crazy project ideas a reality. And so, if you’re anything like me, you’re just waiting for that opportunity. You would jump at that chance to make that happen. I don’t know if you’ve noticed but I’ve written several books. Not just about the music industry but also about the creative industry. 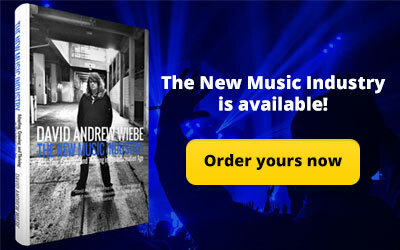 So, this is my first book, The New Music Industry. This is The Essential Guide to Music Entrepreneurship. 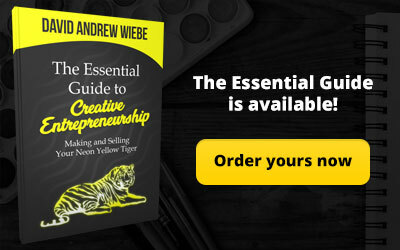 And this is my latest work, The Essential Guide to Creative Entrepreneurship. 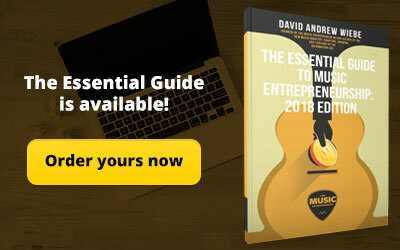 And yes, it is about creativity in the creative industry and building a business in creativity, especially online, but it’s actually perfectly complimentary to The Essential Guide to Music Entrepreneurship. 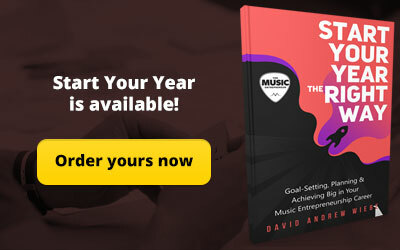 The reason being, The Essential Guide to Music Entrepreneurship was primarily about mindset, whereas this book is a little more tactical in nature. So, they complement each other pretty well. I’ll show you what else I have on my desk. I have this book by Dobbs Franks. He is a conductor, musician, life coach, and of course author. I have this little guide on music promotion. I have this Roadie guitar tuner. I mean my room is filled with all sorts of paraphernalia to do with music, and the music industry, and the music business. I have a guitar sitting over there. And right now, my phone is actually sitting on a Peavey 6505MH. So mini head guitar amp. I think that proves my passion for the music, and the music industry, and music business, in general but I just wanted to show you that. I just want to give you a sense of like, you might not know who I am, you might not know what I do, you might not know what I care about. So, I just want to give you a little bit of sense of that before I really got into the meat of this. What is Your Music Matters? I think you can tell that it’s a new project, it’s a new community project. It has something to do with music and musicians. And it’s something to do… if you read the tagline that we have, that it has something to do with teaching musicians and helping musicians become better at what they do. Especially in the realm of marketing. Those are some fairly correct assumptions, but it is a community project in the sense that it’s not for profit. It doesn’t mean we don’t need money. I will be talking a little bit more about that later. This is something that I didn’t want to do for profit. I have so many other things that I am doing for profit, specially the work I do with The Music Entrepreneur HQ, and you can tell that I have several books, and I have a couple more books coming out. And like I said, I’m making a pretty good living doing what I do. I don’t necessarily need another project where that is focused on generating revenue and profit. This is something that I’m doing because I care about it, and because I’m passionate about it, and because I see something that maybe others aren’t seeing in this area. Just to give you a little more context around that, what’s happening right now is musicians are leaving school or they’re leaving the care of their teacher or what have you without any knowledge as to how to promote their music. They don’t know much about social media. They don’t know much about website marketing, or podcasting, or getting onto podcasts, or getting interviews, or PR, or any of this. Certainly, you can take courses in college or university about marketing or business. The problem is there are so many things that are really unique to music industry. There’s music streaming. How do you promote your music on sites like Spotify or Deezer or TIDAL? There is music distribution. How do I utilize tools like CD Baby or TuneCore or Ditto Music or any of the other distributors that are out there? There’s so much more to music marketing. Someone said to me recently, and I really like this, if you can learn to market music, you are going to learn to market just about anything. I think there is some truth to that because of the difficulty involved in marketing your music. The present reality is musicians leave school and leave the care of their teacher. They come out of whatever situation they’re in to learn to play music, how to sight read, how to compose, and they learn all those skills without knowing how to adequately promote their music to create the kind of living that they would like to create. I think the future in this area is very predictable. What’s going to happen if things continue as they are is that musicians are going to not be able to make a living doing what they love to do. They are not going to be able to do their passion to their fullest. They are not going to be able to make all these crazy project ideas a reality. I know there’s musicians with plenty of crazy creative ideas that they would love to make possible. So, what I see as being possible is equipping musicians with the knowledge and the competency they need to be able to market their music. What I’m interested in doing is building a program for musicians. I don’t have all the details worked out. In fact, this whole project, I don’t have all the details worked out. I just get into conversation with people and then they begin to come up with ideas for me. They begin sharing ideas with me that I go “Yeah, that might work.” or “Yeah, we should do that.” If we create a program that was presented live, which is something I would love to see and have musicians enrolled in it, and I would love for the musicians to be enrolled in it for free, we could also do a Facebook Live so that more people could plug in and tune in and get the information they need to be empowered to market their music. And, I agree with you that mindset is probably just as important as actually the hard skills that you can learn about marketing. 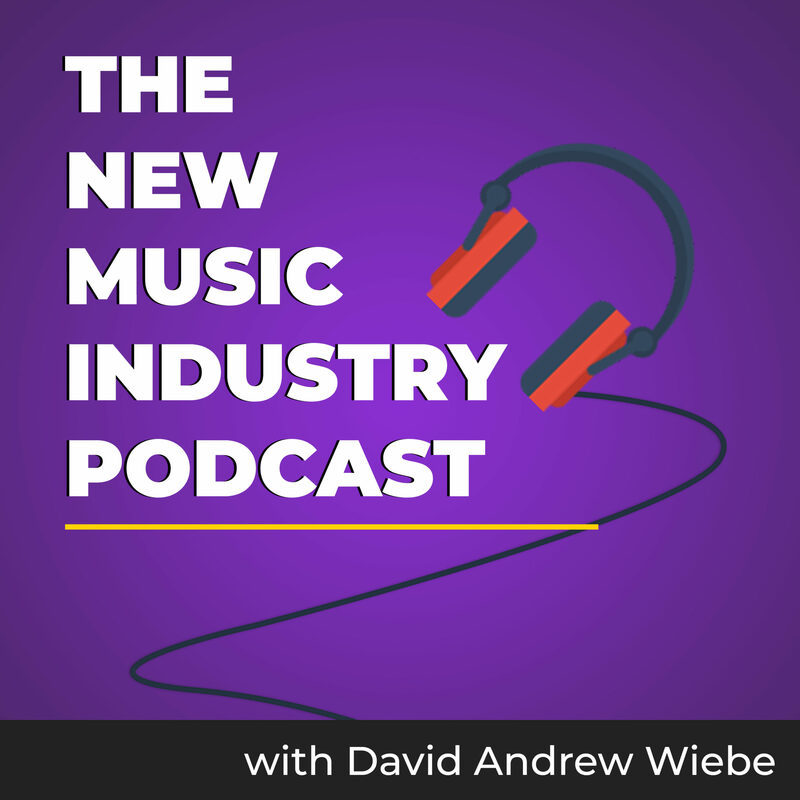 Whether it’s social media, or your website, or music distribution, or getting your music on to streaming platforms, or whatever it might be. There is a certain amount of mindset that goes behind it as well but that’s why I need your help. If you’re the kind of person that’s sitting here going “Musicians aren’t going to get it without the right mindset.”, then you might be the right kind of person to help with this project, to help with the curriculum development or even the presentation. Those are some areas that I’m definitely looking for help because like I said even though I am the forerunner in this project, I started this whole thing, it’s not about me. It’s about the musicians and the difference that could be made in helping them make a living from their passion. I’ve said that a bunch of times already, but you get the idea. That’s what this project is about and that’s what I’m after. That’s kind of our cause for action, so to speak. 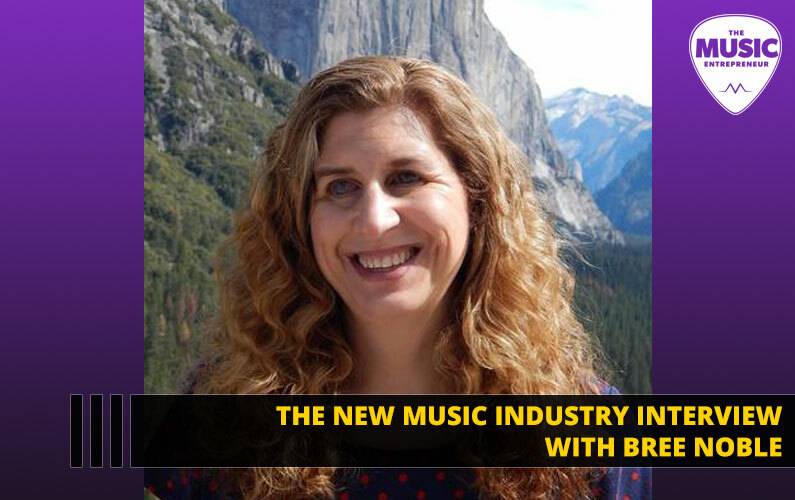 I’ve talked about what’s happening right now in the music industry with independent musicians. I’ll talk about how it’s going to be if nothing is done in this area, if no changes occur whatsoever. I’ll talk about what the possibility is, what I see as being possible in this area if we begin to rally together and work together to make something bigger happen. Now, of course I already mentioned, and I alluded to the fact that I am looking for help. We are looking for support. Your Music Matters is not just about me. I want to make this project a reality but there are so many other pieces that I can’t take on, I can’t do all alone, which is why I am looking for help and support with this project. The first thing that I’m looking for is curriculum developers. So, if you’re an expert marketer in the areas of like SEO, or advertising, or social media, or booking shows, or websites, or live performance, I am looking for your help. I would love for you to contribute your knowledge in the area where you’re best. I don’t want you to develop the whole curriculum alone. I just want you to take on the area that you really shine in. So, if you’re incredible at advertising like Facebook and Google and social media advertising, that’s what I would want you to cover, and that’s what I would want you to contribute to the project. So, curriculum developers. You might just be an expert marketer. You might just be someone who sells SEO services online. 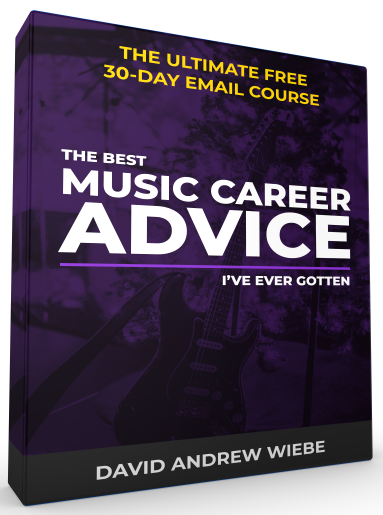 Whatever it is, if you have competency in this area, and if you feel you can really simplify it into the key concepts that matter because musicians can’t necessarily do a lot of complicated things. Let’s not assume that everybody is tech savvy. So, we really need to be focused with this curriculum, and what we’re offering, and what we’re sharing with musicians, but if you feel that you can really help musicians focus on what matters then we’re looking for someone like you to help with this project. And of course, I mentioned that we might be looking for presenters. I think this could be a really cool live event. Maybe it could be an annual event. Maybe it could be a monthly event. The possibilities are all there. But like I said, I’m leaving space for people to kind of fill those gaps in as to what they see this becoming and what they see this being ultimately. It could be anything but I think it’s important that we do have a presenter. At least somebody who can learn the curriculum and then share it with a live audience. Hopefully, we can get some interactive elements in there like a PowerPoint presentation and graphics and images and videos because that’s way more stimulating than just a talking head and a whiteboard kind of thing. That’s another thing that we’re definitely looking for help with. Next, we’re looking for sponsors or donors. Like I said, just because we’re not for profit doesn’t mean we don’t need money. Having resources could give us access to better curriculum developers and people with the skills, and knowledge, and experience, and expertise, that can really help us turn this into something amazing. The curriculum is such an important and integral part of this whole thing. I think that’s the number one thing to really focus on right now is getting that curriculum in place that equips musicians with that knowledge, and empowers them to be able to take their art beyond to the next level. If you’re interested in becoming a sponsor, there’s certain things we could offer. Maybe we could put your logo on our Facebook cover art. Maybe we could recognize you on the blog, and Twitter, and Facebook, and however that grows, and all comes together. Right now, I don’t really know but there’s many things we could do for you. Maybe we could do an interview on the blog or something like that. There are many ways that we can make this a win-win. You can actually go to the blog at any time which is again at YourMusicMattersToo.blogspot.com to donate. I think the current blog post has a little PayPal donate button below it. You should be able to see it right away if you go to the blog. If you’re just sitting there going like, “I can’t give a lot of my time. I can’t give a lot of my energy, but I have a little bit of money. And I would love to see this project become a reality. I’d love to see this thing fulfilled on.” Then you can go ahead and donate whatever amount that you feel comfortable with. The next category is volunteers. Once we have a more concrete sense of how this thing is all going to come together, if it’s going to be live, if it’s going to be live plus video like a live feed like we’re doing right now, we’re going to need people running those cameras. We’re going to need people making sure that musicians find their seats to learn about this. We might need people just running back and forth communicating with the presenters and the volunteers. Whatever the case is, again we don’t have all the gaps filled in, we don’t know exactly what the result is going to be yet but once we figure that out… like I can imagine there probably will be a need for volunteers who are willing to participate and be a part of this and help organize this and help run this whole thing so that it can be a success. We want to create a great experience. We’re not just musicians coming in and feeling like this thing is disorganized. I don’t want to be here. This is boring. That’s the last thing. We want musicians to feel welcome in this environment so that they can actually get the most and take away the most from it that is possible. And then finally, we are looking for social media mavens. I’ve already asked a couple of you out there to share this project out. And this kind of thing can take time. I don’t really care about follower numbers that much. I really don’t but it makes a difference in the reach that we can make, right, so we can reach more people if more people are on the blog. We can reach more people if they like the Facebook page or follow us on Twitter. So, that’s something that we’re definitely looking for. If you’re looking for us on Facebook, you’re probably either on the page right now or you’ve seen a shared post on maybe on my profile or on my pages. If that’s the case, then you can see Your Music Matters. You should be able to see the page and just go and like it. On Twitter, we’re @MusicValidation. It’s a little bit of a different username but Your Music Matters wasn’t available so we’re just going with what’s available. Like I said, it doesn’t really matter too much in terms of branding or aesthetics. This is not what it’s about. It’s about empowering musicians. And that’s number one to this whole thing. Again, we’re at Twitter @MusicValidation. Facebook, you should be seeing the link to our page right now. The blog again is at YourMusicMattersToo.blogspot.com. If you’d like to email us or contact us about anything, if you’re looking to offer support in some way, shape, or form, if you’re interested in this project, if you’d like to learn more, you can email us at YourMusicMattersToo@gmail.com. So that’s YourMusicMattersToo t-o-o @gmail.com. I think I’m ready to wrap up today’s Live. It doesn’t look like there’s going to be any Q&A but thank you so much. If you tune in to this at any time, I just appreciate you watching. I appreciate you considering helping to make this happen, sponsoring, donating, helping us share this on social media, maybe becoming a curriculum developer in some way, shape, or form. Whatever it is, whatever commitment you’re making, whatever support you’re thinking about providing, I just want to say thank you. I really appreciate it. I look forward to sharing with you again soon.